It was like any other Monday for Kailash as he sprang out of bed to get ready for school. He had even packed his bag the previous night like always. But when Kailash came out of his bathroom, he was scared. He ran to his mother, tears running down his face, “amma, there’s blood coming out. It’s very scary amma I don’t know what to do.” In the next one week, it only got worse - there was blood in his urine every day. 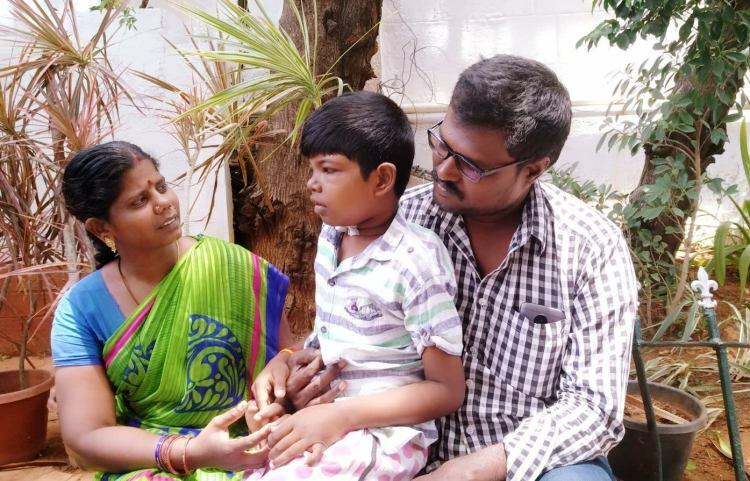 Worried, Suresh and Thamarai Selvi took him to the doctor. It was almost in a flash that his condition went from bad to worse. Now, both of Kailash’s kidneys have failed and only a transplant can save him. Kailash has chronic kidney failure and both his kidneys have now failed. For a month now, Kailash has been living on dialysis. He needs it every alternate day now, and his condition is only deteriorating. Kailash is running out of time and dialysis can prolong his life only for a short while. “He can’t miss even one day of dialysis. The one day that we didn’t take him because he cried so much, he fell terribly sick and his entire body started swelling. It was so bad that even if we touched him, he would scream in pain." Suresh and Thamarai almost gave up all hope when neither of them was a donor match for Kailash. 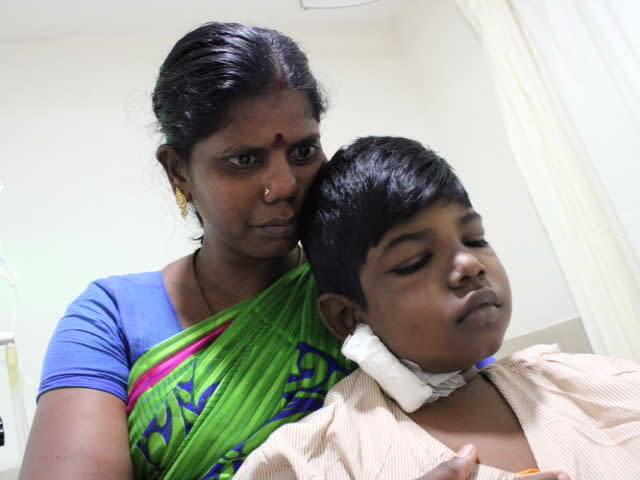 They were told that a kidney transplant was imminent, but with Thamarai’s frequent seizures, she couldn’t be a donor. “I was so upset, I thought his only chance of survival was gone because of us. The dialysis machine acts as his kidney for now, but only a new kidney can give him a future. Luckily, my mother was found to be a perfect donor match. Since she's active and healthy, there will be no threat to her life either. This is the only hope we have now, it's our only option." Kailash needs a kidney transplant at the earliest to survive kidney failure. His grandmother, Vijaya, is a donor match and can save his life. 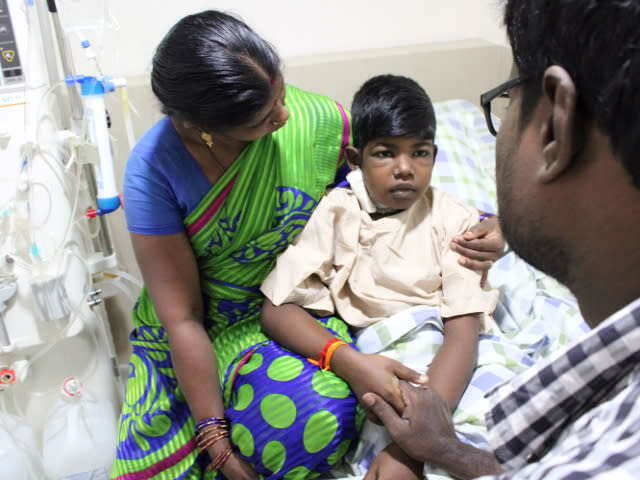 The only thing standing in the way of his recovery is Suresh and Thamarai's unfortunate financial situation. 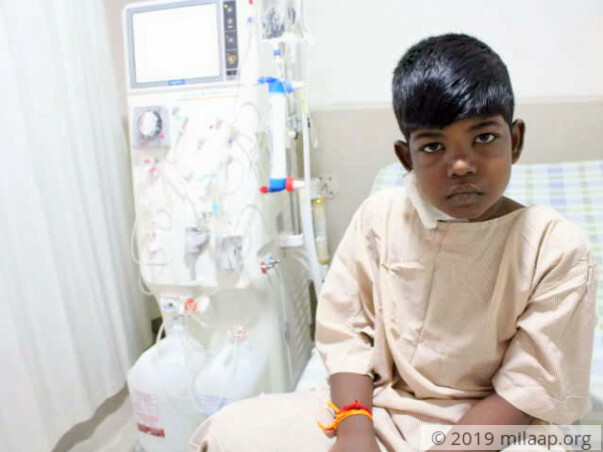 Kailash can be saved, but Suresh’s meager income from working in a small shop in his village isn’t enough to even continue his dialysis anymore, let alone get him a kidney transplant. 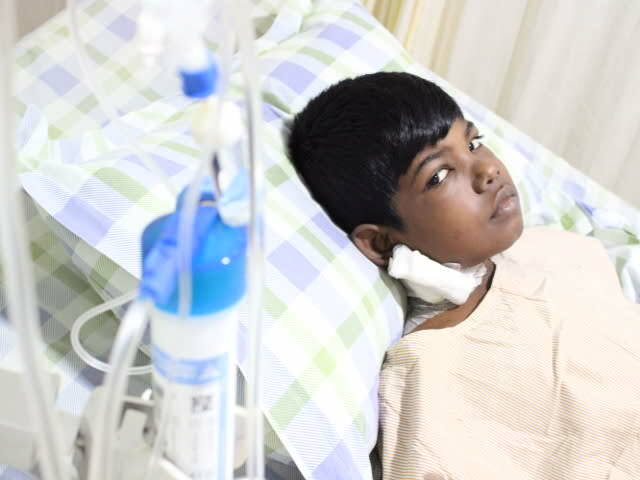 Only you can help save Kailash’s life. Here's a quick update on Kailash. He successfully underwent Living donor kidney transplantation and is recovering slowly. The donor was patients grandmother. 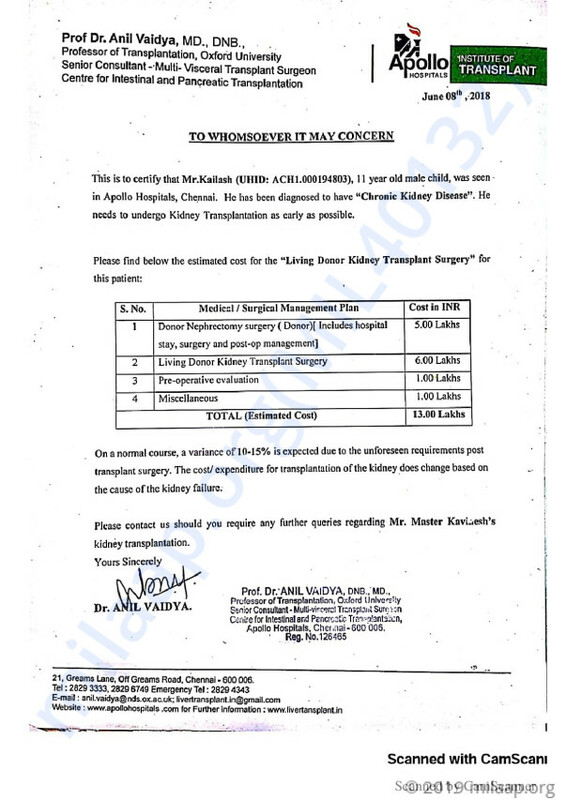 There were no post transplant complications and he might get discharged in few days. Thank you once again for your love and support. We shall keep you posted. Please pray for his speedy recovery.